From rescuing Mussolini for Hitler to becoming a hitman for Mossad, Otto Skorzeny's life was full of twists. 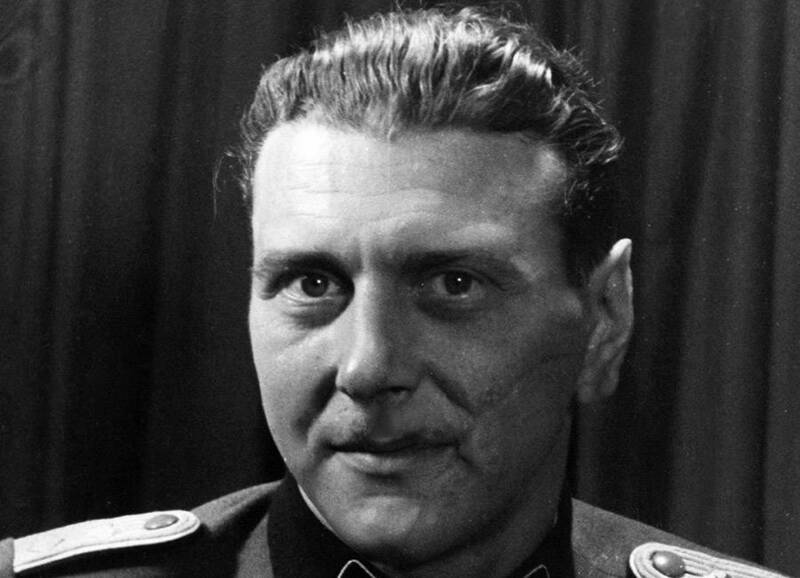 Heinrich Hoffmann/ullstein bild/Getty ImagesSS Lieutenant Colonel Otto Skorzeny. 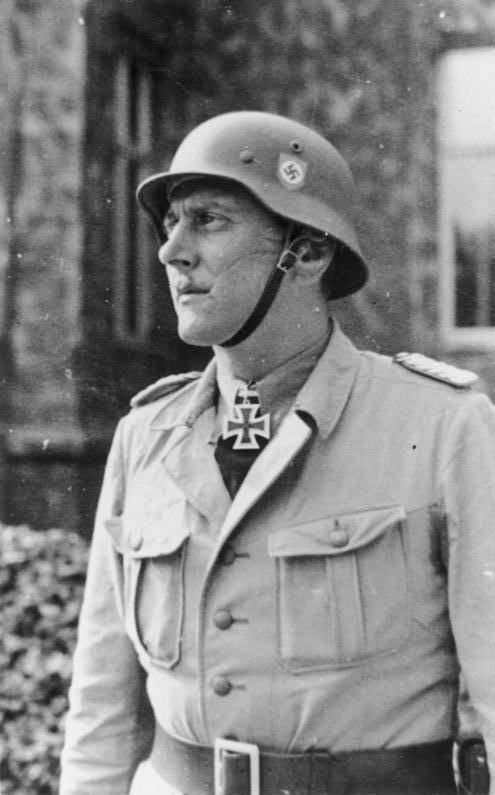 SS Lieutenant Colonel Otto Skorzeny was an extraordinary military man who specialized in guerrilla warfare and commando-style raids during World War II. He mounted numerous operations with varying degrees of success that involved either the rescue, kidnapping, assassination, or defense of numerous wartime leaders in Europe. As a result, he became Hitler’s favorite commando and dubbed “the most dangerous man in Europe” by the Allies. Skorzeny certainly looked the part. He was an imposing figure at 6’ 4” that sported a deep scar on his left cheek from a fencing duel. Though loyal to Hitler and a staunch Austrian Nazi, Skorzeny would ultimately turn on his former compatriots and become a hitman for Israel at the end of the war. Skorzeny was born in 1908 into a middle-class Austrian family. He became a Nazi early on joining the Austrian branch in 1931. When World War II broke out in 1939, Skorzeny’s military career got off to a bumpy start when his application to join the Luftwaffe was denied. He was told he was too tall and too old at the age of 31. Instead, he joined the SS and became an officer-cadet in the Liebstandarte, Hitler’s bodyguard regiment. From 1940 to 1942, he fought on the battlefield in Holland, France, and the Eastern Front. But in December 1942, Skorzeny nearly lost his life on the Eastern Front after shrapnel struck him in the head. He carried on fighting until his wounds incapacitated him and he was hospitalized. For his bravery, he was awarded his first Iron Cross. While recovering in Berlin he became interested in commando operations, reading everything he could on unconventional warfare and guerrilla tactics. He soon formulated his own ideas which gained the attention of SS-Brigadeführer Walter Schellenberg, head of the SD (the SS foreign intelligence service). Schellenberg made Skorzeny the head of the newly formed Waffen Sonderverband z.b.V. Friedenthal. Now with a team of commandos, he got to test out his ideas of unconventional warfare. His first mission, Operation Francois, did not go according to plan, but his next would be his greatest success. In July 1943, the Italian government toppled Benito Mussolini. Outraged, Hitler vowed to rescue him and initiated Operation Eiche (Oak). He assembled a line-up of Germany’s best operatives that included Skorzeny. They had never met before, but it soon became apparent Skorzeny was the best man for the job. First Skorzeny had to find Mussolini. The Italians were moving him from one secret location to the next, and a game of cat ‘n’ mouse ensued. 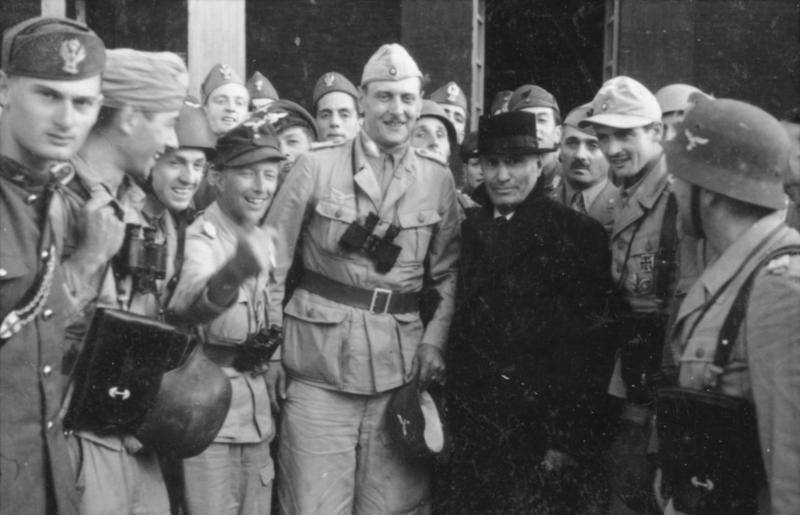 Finally, after weeks of searching, Skorzeny tracked him down to the Campo Imperatore Hotel, some 6,500 feet above sea level on Gran Sasso mountain in the Abruzzo region of Italy. The hotel was accessible only by funicular. So on Sept. 12, 1943, Skorzeny led a daring airborne raid on the hotel by gliders, but not without incident. As the gliders approached the hotel, Skorzeny relied on a level patch of grass in front of the hotel as a landing strip. But as it came into view, he realized that what he had seen in reconnaissance photographs was not grass but a rock-laden incline. Wikimedia CommonsDeposed Italian dictator Benito Mussolini and Otto Skorzeny outside the Campo Imperatore Hotel. 12 September 1943. Orders were given to abort, but Skorzeny ignored them and ordered his pilot to land. The pilot managed to awkwardly land 30 feet from the hotel. Within minutes Skorzeny found Mussolini. Not one person had been killed. Not to be overshadowed by Mussolini, Skorzeny barged onto a waiting flimsy Fieseler Scorch aircraft designed to only carry a pilot and one passenger. With three on board, the craft strained to take off but somehow made it safely to its destination. Skorzeny’s audacious plan had paid off. The Fuhrer, delighted with Skorzeny, awarded him the Knights Cross. The plan even impressed Winston Churchill. And so Skorzeny’s legend began. 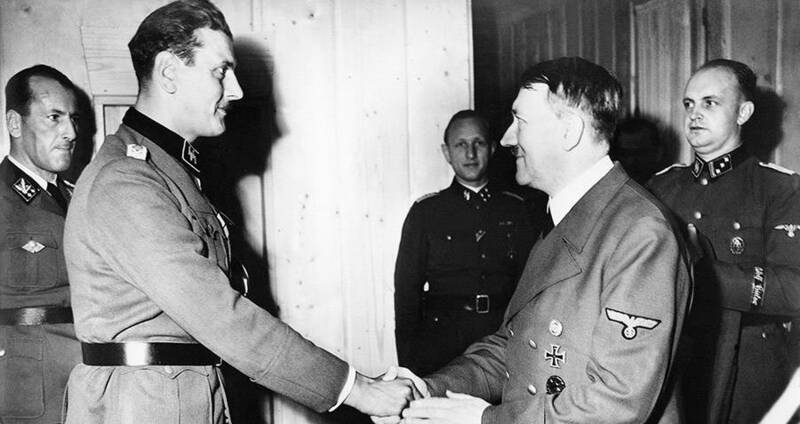 Getty ImagesAdolf Hitler awarding Otto Skorzeny his Knight’s Cross after the liberation of Mussolini. A few months later, Hitler required Skorzeny to carry out a mission that, at least in planning, was even more audacious. This time Hitler planned to kill his major enemies in one location. 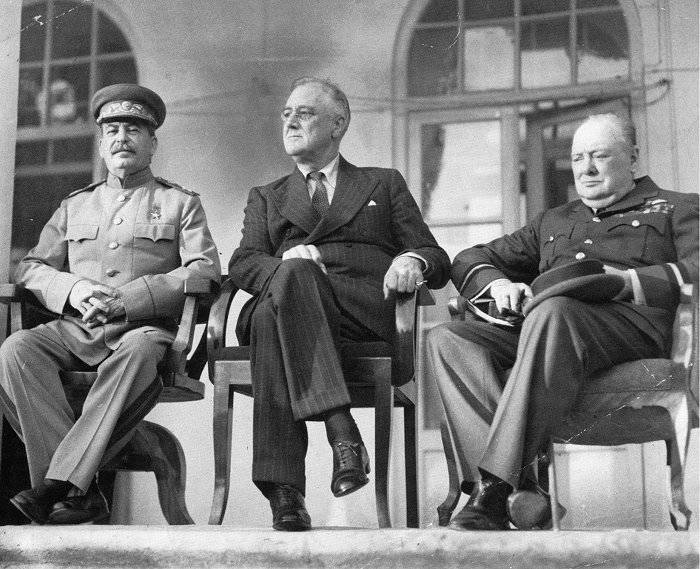 Called Operation Long Jump, Skorzeny and his commandos were required to infiltrate the Tehran Conference and assassinate the ‘Big Three’: Franklin Roosevelt, Winston Churchill, and Joseph Stalin. According to the Soviets, their own legendary agent, Nikolai Kuznetsov, infiltrated the Wehrmacht in the Ukraine, where he learned all the details on Long Jump after plying a German SS major with alcohol. With this knowledge, the Soviets allowed the first phase of the German operation to unfold. A team of German radio operators had gone ahead to Tehran to prepare for the arrival of German commandos. There, Soviet spies intercepted messages sent by the Germans stating that Skorzeny and his men would parachute into Iran a few weeks before the conference started. The Soviets now with irrefutable proof of the planned assassination, arrested the Germans and thus thwarted the plan. Skorzeny and his team never made it to Iran. Historians have debated whether this operation existed, claiming it was just Soviet propaganda. The Soviets state it was real and high-ranking Soviet officers involved at the time have written books about it. Wikimedia CommonsIn Operation Long Jump, Otto Skorzeny and his team allegedly planned to assassinate the “Big Three” at the Tehran Conference. Skorzeny’s next success was not strictly an operation but a response to a threat to Nazi leadership. In his memoir, he claimed he played an integral part in restoring order to Berlin — and the war effort in the aftermath of Hitler’s assassination attempt on July 20, 1944. The conspirators had modified the Wehrmacht “Valkyrie” codeword normally used to suppress a revolt into instigating an uprising instead. While Major Otto Remer spearheaded an attack against the plotters, Skorzeny got inside the conspirators’ base of operations and had the “Valkyrie” order rescinded. He then restored communications to Fuhrer Headquarters, thus preventing a possible civil war between German troops. Skorzeny took charge of Wehrmacht administration until normalcy returned, and he was relieved. Hitler now knew he could completely trust Skorzeny and in October 1944, sent him to kidnap the son of Hungarian leader Admiral Horthy. The successful mission kept Hungary on Germany’s side and involved in the war. However, Skorzeny’s most infamous mission was Operation Greif (Griffin), which was part of Hitler’s last-ditch attempt at turning the tables on the Allies. His key objective required the capture of key bridges over the Meuse river during the Battle of the Bulge. Skorzeny devised a trojan horse operation which required his men to go behind enemy lines in the Belgian Ardennes dressed as American soldiers and cause maximum panic and confusion. But there were major hurdles. Only a handful of men spoke adequate English and there was a lack of appropriate American uniforms and equipment, which made the charade risky at best. 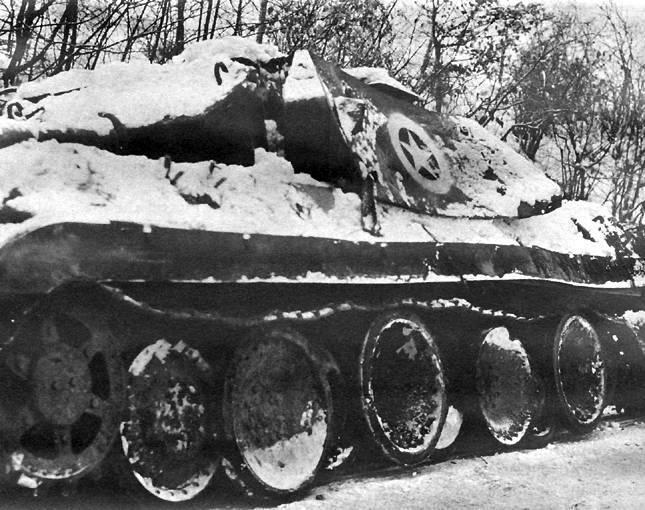 Wikimedia CommonsA German tank disguised as an American tank during Operation Greif during the Battle of the Bulge. Belgian Ardennes. December 1944. Still, on Dec. 16, 1944, Operation Greif launched into action. Skorzeny’s men cut communication wires, issued fake orders, and turned around road signs. Paranoia set in amongst American forces as word of the German impostors spread. Some Americans fired on each other and soon GIs grilled each other on American popular culture to flush out German agents. Many American soldiers and even Allied generals were detained at checkpoints for answering questions wrong. For instance, Field Marshall Bernard Montgomery refused to show his ID and had his car tires shot out. He was then dragged into a barn and restrained until his identity could be confirmed. But the biggest confusion — and the masterstroke of the operation — came from Skorzeny himself when he let a rumor run wild within his own ranks that the real target was General Eisenhower, who was still in Paris. Convinced of the “real” mission, two jeeps full of German agents confirmed the assassination plot to kill Eisenhower when interrogated by Americans. Back in Paris, Eisenhower spent time in protective custody while his body-double did his daily rounds. In the end, the impostors’ inability to correctly mimic “Americanisms” and U.S. Army protocol proved their underdoing. Many were shot as spies for impersonating the opposing side. By war’s end, Skorzeny had received oak leaves for his Iron Cross, the highest honor awarded by the Nazis. However, his directive for his men to wear American uniforms got him in hot water in 1947 at the Allied Dachau War Crimes trials. Luckily for him, he escaped execution when British SOE operatives confirmed they wore German uniforms during the war. Other charges loomed — and Skorzeny sidestepped those too when former SS men, donning American military police uniforms, helped him escape. He later claimed the OSS (the CIA’s forebear) had aided his escape in return for his services. 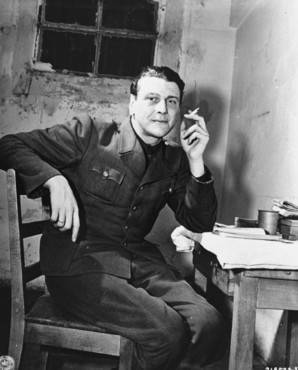 Wikimedia CommonsAt Nuremberg, Otto Skorzeny sits in a prison cell. November, 1945. In 1950, he moved to Spain, where Nazi refugees received asylum. To all appearances, his new life with his wife and their small engineering business appeared relatively normal. But his business may have been a front to help numerous Nazis escape to Spain or Latin America. Which makes it even more interesting that Skorzeny became a hitman for Israel over ten years later. One evening in 1962, two Mossad agents posing as a couple befriended Skorzeny and his wife in a Spanish bar. But Skorzeny was no fool and he lured them back to his house, where he pulled a gun on them. Pictured here wearing the Iron Cross, Otto Skorzeny briefly worked for the Israelis as a hitman. The agents said he was half-right: they did not want to kill him but wanted to recruit him. Israel wanted to stop Egypt’s missile program and they saw Skorzeny as the person to do it. After tense negotiations at the point of a pistol, Skorzeny agreed only if Mossad removed his name from Israel’s hit-list. Apparently, Mossad tried to convince Nazi hunter Simon Wiesenthal to take Skorzeny’s name off his list, but he refused. So, Mossad presented Skorzeny with a forged letter from Wiesenthal agreeing to his terms. Gianni Ferrari/Cover/Getty ImagesFormer Nazi hero Otto Skorzeny sits in his office in Madrid, Spain. Convinced, Skorzeny got to work. In Munich, he assassinated Heinz Krug, one of the principal former Nazi scientists working on the missile project. In Egypt, he sent an exploding package which killed five Egyptians at Factory 333, the military site where the scientists worked. 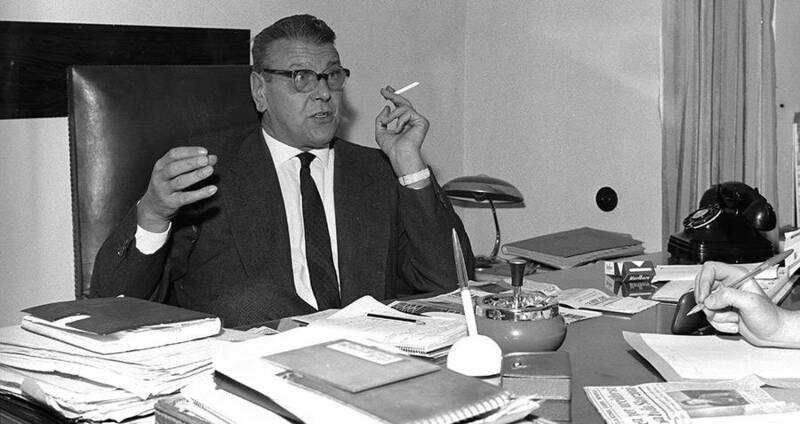 The intimidation worked because the remaining German scientists all left by the end of 1963. Why Skorzeny decided to work for Mossad is difficult to ascertain. Skorzeny is unlikely to have assassinated Nazi scientists just to have his name removed from a Nazi hunter’s list, especially since the Allies declared him de-Nazified in absentia in 1952. Some posit that he felt sorry for the actions of the Nazis against the Jews during World War II. Whatever his reasons he took those with him to the grave. 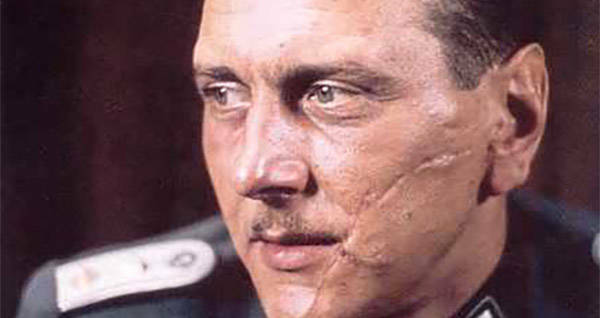 On July 5, 1975, Otto Skorzeny died at the age of 67 from lung cancer. He had two funerals, one in Madrid, and the other at his family plot in Vienna. At both, he received a full Nazi send-off with Nazi veterans giving him the Nazi salute and singing some of Hitler’s favorite songs. Next, read about the mission that may have saved us all from Nazi rule. Then learn about how Nazi scientist Wernher Von Braun helped send the U.S. to the moon.